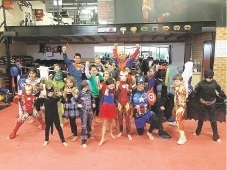 The D40 class that took part in Muay Thai |Madness. 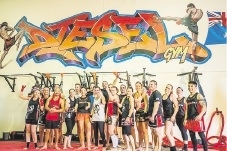 A social media campaign titled Muay Thai Madness offered Diesel Gym members a list of challenges to complete using a range of muay thai and fitness-related techniques. Instructor Jason Lee said members would film themselves completing the challenge and encourage people to donate to support them. 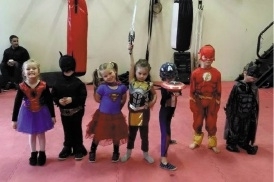 “We also organised a fun heroes versus villains dress-up party and training session to help raise more funds, as well as teach our kids to always help people in need,” he said. 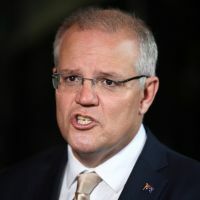 The club is planning its next fundraising training session where members wear a white shirt and students write compliments or encouraging quotes on each other’s tops. So far, Diesel Gym has raised $700 for the Fight Cancer Foundation.